Have you heard of SnapPower? It's a new product as of late last year which turns any regular outlet or light switch into a night light or guide light - genius, right? 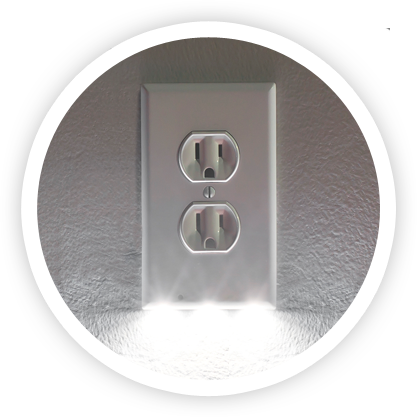 It lights up depending on the darkness in the room, and gets brighter as the room gets darker. We love how it frees up both plugs and eliminates the need for a bulky (and often unattractive) plug-in light. 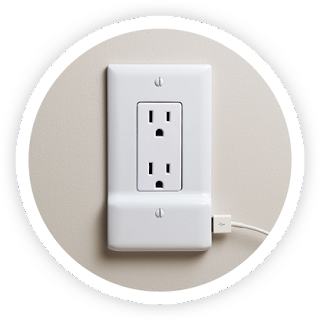 We ordered three - for our son's room, his bathroom, and the hallway - they work beautifully and took less than a minute to install. They also make a USB version, as shown here. They are available at the SnapPower site and also on Amazon.